The Bach Choir will be performing carols at Cadogan Hall (SW1X 9DQ) on 22 December 2017. The show starts at 7:30 pm and tickets are priced from £13.50 to £32.00. Audiences can expect an outstanding performance by The Bach Choir – a firm favourite among classical music enthusiasts. Set in a fantastic location in the heart of Chelsea, Cadogan Hall has become one of London’s leading venues. The Hall’s 950 seats, excellent acoustic and luxurious surroundings makes it the first choice for some of the UK’s top orchestras, including the Hall’s resident orchestra, the Royal Philharmonic. It is a favourite London destination for international touring orchestras. Cadogan Hall is the perfect setting for a festive evening of Christmas music sung by The Bach Choir, with the eight-piece London City Brass and Philip Scriven at the organ. Founded in 1876, The Bach Choir is recognised as one of the world’s leading choruses, building upon a tradition that combines musical excellence with creativity and innovation. From the first performance in Britain of Bach’s Mass in B minor to the soundtrack for Ridley Scott’s 2012 epic Prometheus, our musical heritage is as rich as it is diverse. 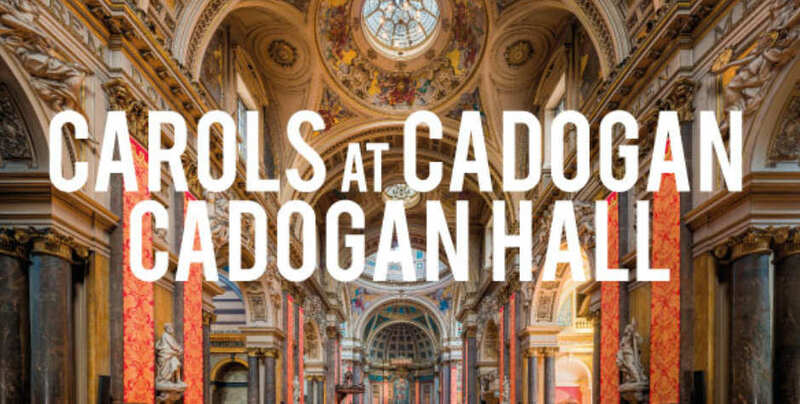 The Bach Choir: Carols At Cadogan at Cadogan Hall is the perfect way to start your Christmas celebrations. As you can imagine, tickets are selling fast. If you are planning your trip to our capital city, please plan ahead. Accommodation at this time of year is in high demand. Bed and Breakfast accommodation at B+B Belgravia is perfectly located with quick access routes to all the Christmas festivities. Contact us today to arrange your booking.